15 MayThinking About a 401k Rollover to Annuity? Think Again. If you’re thinking about a 401k rollover to annuity…DON’T. Simply put, annuities = HIGH FEES. Studies show that most investors are paying too much for their investments. 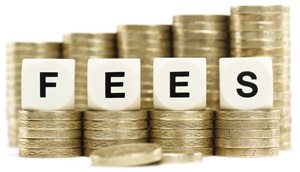 In fact, it’s estimated that over 20% of an investor’s wealth is lost to excessive fees. Don’t become another Wall Street statistic in the tragic story of those who paid too much for no reason. You see, there’s some value to owning an annuity, for 1% of the population. But chances are, it’s not you. While tax-deferred growth is a great tool for smart investors, remember that your 401k rollover is ALREADY TAX DEFERRED. So don’t pay for this. Instead, rollover your 401k to an IRA – still tax deferred, with zero added cost. Most annuities offer an insurance component that will either guarantee your initial investment, or guarantee a certain stable income stream for a set period. And sometimes, for life. Neither of these seem to be bad things at first blush. But apples-to-apples, if you put an annuity investment side-by-side with a rollover IRA investment earning the same investment return, no matter what guarantee the annuity offers the IRA will win the money race EVERY TIME. Yes, EVERY TIME. And if you’re the Nervous Nellie type and will sleep better with the certainty of that guaranteed income stream of $357/month for life – and can live with the certainty that you would’ve received more money from an IRA (yet with no “paper guarantee”) – then perhaps you should pay more for an annuity. Ask yourself this: If you can only afford the Volvo (safe, reliable, and gets the job done better and for a longer period) then you shouldn’t buy the Cadillac (safe and reliable, but with bells and whistles that will ultimately result in the car giving you less miles than the Volvo). Volvo = IRA. Get it? The agent selling (did you catch that? SELLING!) you an annuity product will earn a commission. Remember to ask how much. And realize that one of the most powerful forces in the world (second to gravity) is the power of compounding. What does that mean? It means that a commission will come right off the top of your 401k rollover nest egg, resulting in significantly less money for you, later. If you’re OK with the standard annuity commission of 6% coming right off the top of your hard earned retirement dollars, consider this: If your rollover amount is $50,000, a 6% commission (thanks to the power of compounding) results in an investment difference over $17,000 over 25 years with a 7.5%. That’s more than 1/3rd of your initial investment! Have you already rolled over a 401k to an annuity? The good new is while you might not get that commission or back-end sales charge back, you can still stop the bleeding on the excessive annual fees (typically over 2%) you pay by rolling out of the annuity into an IRA. Consult an IRA expert, that has no conflicts of interest such as a commission to be earned, and get the 101 on your best options for your 401k Rollover. And in the meantime, let us know your questions or rollover stories in the comments area below.